Ever wanted to know what it’s like if ever Mr. 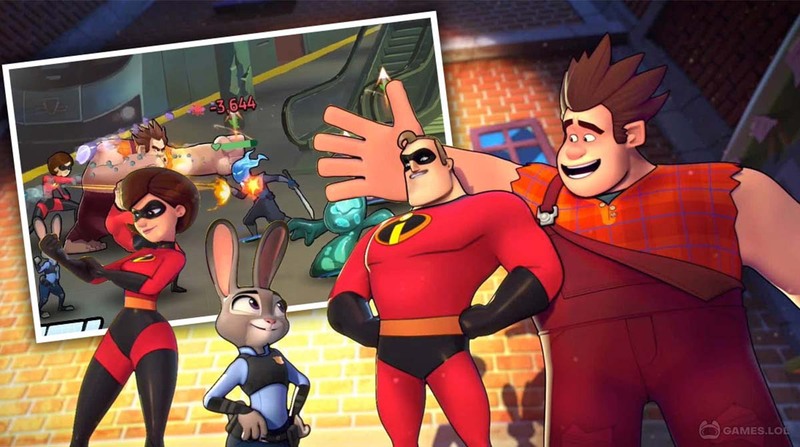 Incredible, Wreck-It Ralph, Emperor Zerg, and Judy Hopps joined together to stop a greater force that could destroy the balance of the Disney universe? Well, now you will in Disney Heroes Battle Mode! 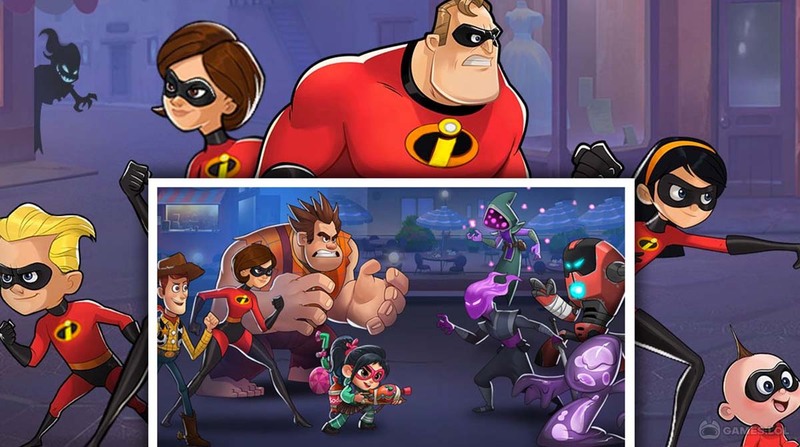 Fight alongside your favorite Disney characters from The Incredibles, Toy Story, Wreck-It Ralph, Zootopia! There are many more in this unlikely team-based RPG that any Disney fan will love! Learn how to assemble the best team of heroes vs. villains on Disney Heroes: Battle Mode tier list without Reddit. Enter a world where some of the characters have been corrupted by an unknown entity whose motives are unclear. But, if there’s one thing for sure, it’s that our favorite characters are getting abducted and turned into mindless killers! So put on your super suit, bring your toys, search for primal evidence and smash your way into the internet to save their world from chaos! This is the Disney heroes vs. villains game that you have been waiting for. 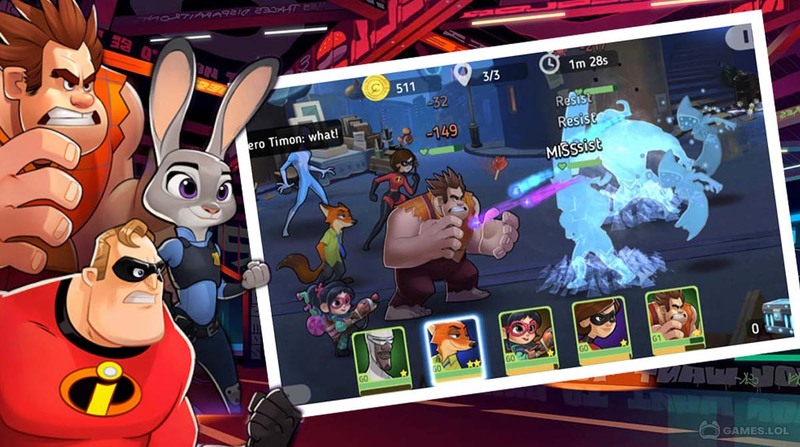 Gather your favorite Disney characters and create the best team in Disney Heroes: Battle Mode. Just name one character from the modern Disney movies and they’re in Disney Heroes Battle Mode! It’s an all-star cast of beloved characters from the Disney universe including Vanellope, Woody, Nick Wilde, and Elastigirl! The roster hasn’t been completed yet but PerBlue Entertainment (the developer) promises that they will be constantly adding new characters. These characters will come from both current trending Disney movies to timeless classics like Mickey Mouse and his friends! Each character also has a unique set of skills that, when combined with other characters. As a result, make the most powerful abilities in order to save their world! Check out the tier list on some Disney Heroes: Battle Mode Reddit topics. What’s not to love if you combine turn-based RPG with your favorite Disney characters? The result is an immersive gameplay that has you rooting for your own team of unlikely heroes. They are here to battle out a mysterious being that’s plaguing their world and brainwashing other casts of characters! Will our heroes stand up and bring order to their universe or will this cyber enemy take hold of everything and everyone we hold dearly about Disney? That is up for you to fix and only you will give morale to your heroes. Check out Reddit for some Disney Heroes: Battle Mode tips, Wiki, and guides. If you thought this crisis was just a small one, you thought wrong. Every world in the Disney universe has been engulfed by this massive unknown force. Therefore, every protagonist and antagonist of each world must set aside their differences to face a common foe that would mean their very own extinction! Fight on the rooftops and alleyways of Disney City – a utopia of all things Mickey Mouse. Battle in the Pride Rock where these digital minions are there to wipe out the animals. Shrink down into toy sizes where Buzz Lightyear and Woody need big help. These are just a few levels to fight in and more will be added in upcoming patches! Disney Heroes Battle Mode encourages you to mix and match the different heroes you have in your roster. Not only is checking out their chemistry and synergy fun but it also establishes for you which is ones will suit well together in a fight. Make sure you combine Strength, Speed, Utility, and Control in the team. A good example of an effective team is Ralph, Elastigirl, Frozone, and Vanellope. Ralph is the frontline, soaking up damage and dealing massive stuns. Elastigirl is the main damage dealer that becomes very deadly on single targets. Frozone is all about control by freezing the enemies for a few seconds and Vanellope brings morale to the team by speeding up their attacks. Badges are there not to be just for display but to add passive perks to your heroes. It can be anything from higher damage to more health. Therefore, make sure that you don’t go into a fight without it because if you don’t, your heroes will get canceled faster than A Bug’s Life 2. Strength heroes go well with higher health badges. Meanwhile, damage dealers will go with stronger attacks. On the other hand, utility heroes should go with reduced cooldowns for special attacks. What are you waiting for?! 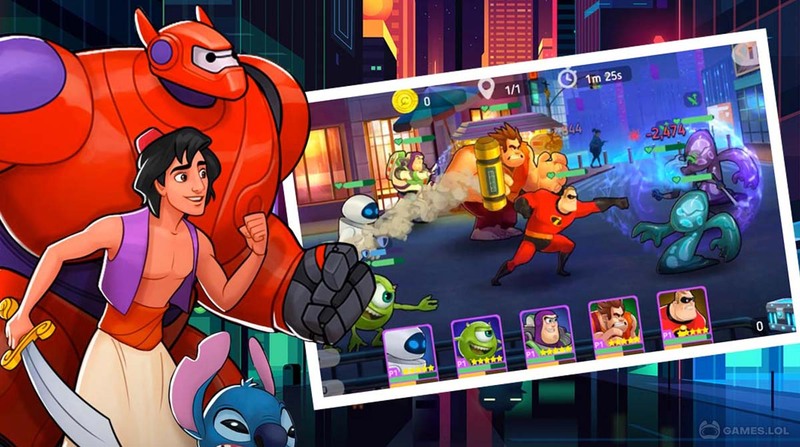 Save the day alongside your favorite Disney Character in Disney Heroes Battle Mode. Play online on PC for free! Do you like playing strategy games like this one? Then try out similar games such as Guns n Glory and Dragon City! your Disney Heroes: Battle Mode installation. If you are a fan of thrill and excitement, Five Nights at Freddy’s is definitely the best horror-themed game for you. Bigger and better on PC, maximise your gaming experience by downloading Five Nights at Freddy’s 2 Demo PC. Happy Birthday, Subway Surfers is Six! Kaja, the Nazar King, comes to Mobile Legends!